You don’t’ have to look far along your local High Street to realise that everyone’s trying to get in on the SUV act. Small ones, tall ones, long ones, short ones, they’re all there: and most of them made by manufacturers who probably only just a couple of years ago wouldn’t have even dreamt of such things. Ford, Vauxhall, VW, Toyota, SEAT, Renault, Nissan, Kia… they’re all at it. The list goes on as far as the eye can see. Here though perhaps is one you might not be quite as familiar with: The SsangYong Tivoli. You might be a little unaware of SsangYong too. So here’s a little background information, just in case. Established in 1954, SsangYong is Korea’s oldest vehicle manufacturer and only 4×4 and SUV specialist producer (Kia and Hyundai make hatchbacks, estates, and saloon cars as well). 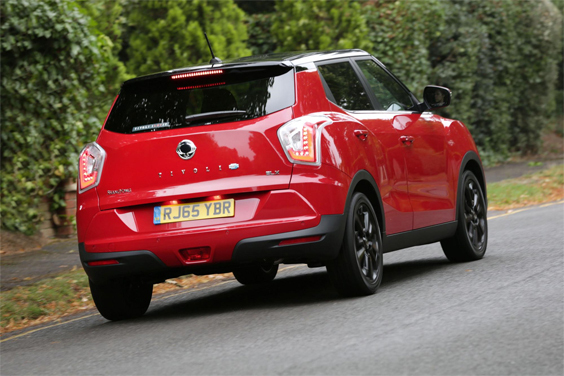 SsangYong cars – sorry! – SUVs and 4x4s are manufactured in South Korea by SsangYong Motor, which is 73 per cent owned by the Indian engineering conglomerate Mahindra & Mahindra, and they’re imported into the UK by SsangYong Motor UK. There are currently some 60 SsangYong dealers covering England, Northern Ireland, Scotland and Wales, with new locations being added to the network all the time. All models in the SsangYong range are covered by a best-in-class 5-year limitless mileage warranty – according to SsangYong that is. 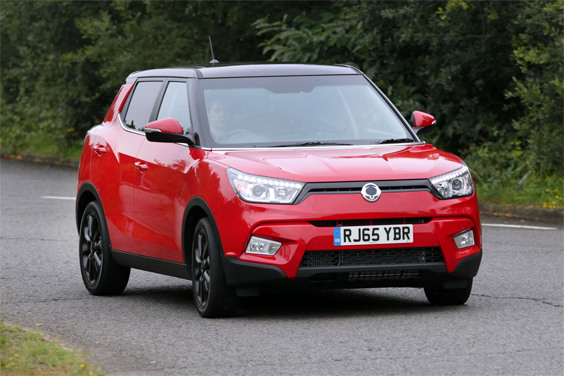 Up until recently SsangYongs have tended to be on the larger side – think Rexton and Korando – thus the Tivoli not only sits on an all new platform, it’s also SsangYong’s first entry into the fiercely fought B-segment SUV market. It’s set to compete with the likes of Nissan’s perennial Juke, Renault’s similarly-sized Captur, Vauxhall’s Mokka, Kia’s Stonic, Hyundai’s Kona, Dacia’s Duster, Citroen’s quirky Cactus and a host of other supermini-sized SUVS that there’s neither the time or space to mention. All are well established household names. The Tivoli therefore faces some very stiff competition. It does have a trump-card though: Its price, and more importantly what you get for it. Whereas most mainstream manufacturers make a compact SUV and then charge you handsomely should you want such things as leather-trim, heated seats, sat-nav, and all-important (for some) four-wheel drive, pushing their purchase prices ever higher in the process, you can get a SsangYong Tivoli with all of that for under £20,000. The front-wheel drive only but nevertheless range-topping ELX specced Tivoli SsangYong I tested came with goodies such as Keyless entry, a 7” inch touchscreen Tom-Tom sat-nav with reversing camera, dual-zone climate control, 18 inch alloys, and automatic lights and wipers. Should you not need quite so many home-comforts but another driven axle you can still bag a go-anywhere Tivoli for approximately £17,500. That’s surely good value in anybody’s book? Ah, but surely there’s a price to pay somewhere else, right? Well, yes and no. Crossovers by their very definition (a supermini on stilts, usually) are never the sharpest of things to drive, and the Tivoli is certainly no exception to the rule. If anything it’s even less exciting to drive than many of its more familiar competition. To be fair, it’s not lacking in performance – the 1.6 diesel fitted to “our” Tivoli pulled well once the turbo was woken up and delivered around 50mpg out here in the hills – but the steering lacks any kind of meaningful feedback, there’s quite a lot of body roll and overall the ride is best described as fidgety. It’s loud too. Stir things along a little via the six-speed gearbox and road and engine noise certainly make their respective presence felt. There’s no respite from the “taxi-rattle” once you stop at traffic lights either. Strangely, there’s no start-stop. Will any of this affect a prospective Tivoli buyer anyway? I doubt it. The range of standard of equipment on offer, coupled with the unquestionable practicality the Tivoli offers (it’ll seat five 6 six footers easily and swallow most of their luggage) are the main attractions here. An inverse badge-snobbery element, that aforementioned five-year warranty, and some very attractive PCP deals might help too. You certainly won’t be following any kind of crowd should you sign-up for a SsangYong. But, you might be left wondering if you could’ve got a little more refinement for not quite so much more money if you’d shopped somewhere else. Engine: 1,597cc 4 cylinder turbo-diesel. EU6. Transmission: 6 speed manual. Front wheel drive.